The local locksmith Eltham Company in SE9 postal code and surrounding areas, is Locks in the City. We can arrive quickly to any locksmith call out because of this. With burglary rates higher than the National average in Eltham, home insurance premiums tend to be higher. Locks in the City can supply and fit locks to comply with the current BS3621 Insurance Approved specifications, which in turn , can lower your premium and save you money! Locks in the City can help you at home and at your place of work/business. Locks in the City are fully insured and we are a domestic and commercial locksmith firm. 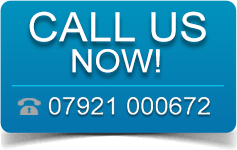 We are uPVC lock specialists and we are able to offer high security options for home and business owners alike. Our lock range includes anti-snap, anti-pick and anti-bump locking mechanisms for our customers. These sort of locks not only help to make your building more secure, they can also reduce the cost of your insurance premiums!